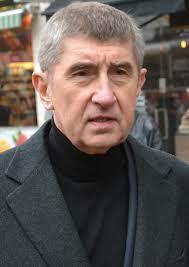 Andrej Babiš incoming Czech Prime Minister. 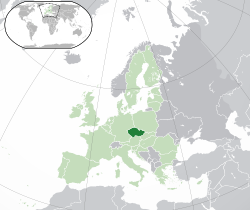 The recent parliamentary election in the Czech Republic, shifted the country to the political right. The resounding electoral victory of the populist billionaire Andrej Babis, paves the way for a new chapter in Czech politics. Although Babis is identified as a centrist, his need for a political coalition in forming a new government, is likely to change the country’s relationship with the European Union. His choice for coalition partners in the new Parliament, will soon demonstrate the political direction he wishes to take the country. There is little doubt voters had become dissatisfied, with the overall performance of previous government. Ano which stands for Action of Dissatisfied Citizens, is the party founded by Andrej Babis. It received near 30% of the vote. The Social Democrats who had been in the center of Czech politics for the last 25 years, was only able to garner 7% of the vote. This put them in 6th place. It was the worst showing for the party, since the political divorce from Slovakia. They had been the leading political party, in the previous election. 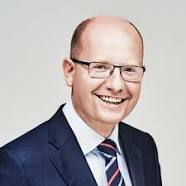 Social Democrat Bohuslav Sobotka the outgoing Prime Minister of the Czech Republic. The political shakeup is occurring in a country, where there is economic growth and unemployment is at some of the lowest rates in Europe. Wages have been rising and economic inequality has been a less important issue in recent years. The elections results were as much a rejection of the status quo as anything else. Establishment parties like the Christian Democrats, received the support of less than 6% of the electorate. They came perilously close, to not having any representation in the legislature at all. Even they often derided Communists came in 5th place, as voters became more willing to abandon traditional politics in favor of change. Overall voter turnout for this election was only 61%. The Freedom & Direct Democracy was another anti-establishment party that did rather well at 10.6%. This far to the right group, doubled it proportion of the vote, from the previous election. It came just short of the Czech Pirate Party with 10.8%, whose political views are from the opposite end of the spectrum. Both parties are close behind second place winner in the election the Civic Democrats,at just 11.3%. The Freedom and Direct Party is against any further encroachment on Czech sovereignty, from the European Union. Their leader Tomio Okamura, ironically is of mixed Czech and Japanese descent. Okamura looks upon Islam more as an ideology than a religion. He also views the recent European push towards multiculturalism, as a threat to traditional Czech culture. With as many as nine parties being represented in the legislature, it will be difficult to find consensus without major political comprise. Given the extreme different viewpoints of many of the elected officials governing will not be easy. In the previous election of 2013, Babis was able to bring his party to second place. This was just one year after the founding of Ano. As a result, Babis was soon able to enter the government as the finance minister. Babiš with the then Austrian Foreign Minister Sebastian Kurz, 13 February 2015. Although he was part of the ruling coalition, with the Social Democrats and the Christian Democrats, he maintained his anti-establishment credibility, by attacking corruption and attempting further economic reforms. In the run up to the election, when his party began to surge in the polls Babis become a target for corruption as well. He was accused of tax evasion and was later fired as finance minister. This month he was actually indicted for misappropriating European Union subsidies. Despite calls for him to step aside, he has refused to comply. He insists the charges, are totally politically motivated. He has also previously denied accusations that he was a police agent, during the era when the country was under communist control. Babis the second wealthiest man in the country, has widespread support from older voters. As a voting bloc, this group has tired of broken promises and ongoing corruption scandals. The latter often being used as a way to destroy political enemies. The former finance minister insists his party is democratic and pro-European. However, he has stated he intends to protect Czech citizens, from further overreach of European Union officials. He campaigned on being Eurosceptic and anti-establishment. Babis does not want to bring the Czech Republic, into the Eurozone. It would mean surrendering even more sovereign financial power, which is contrary to the political beliefs of the incoming Prime Minister. He does plans to ask the European Council for changes in standards for food quality and a workable solution for the present impasse on the migration issue. In addition, he has made clear his support for the western military alliance of NATO (North Atlantic Treaty Organization). Given the history of the Cold War, this is a politically practical stance, for most candidates seeking higher office. In foreign alignment, it is not yet clear how far Babis intends to move towards policies advocated by neighboring countries, principally Hungary and Poland. The vehicle for closer cooperation already exists as part of the Visegrad Group. 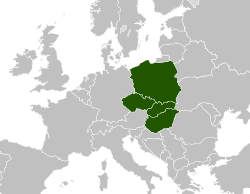 The Visegrad Group which includes the Czech Republic, Hungary, Poland and Slovakia was organized as a cultural and political bloc. Part of its purpose, was to allow these four smaller nations to have greater weight in the European Union as a whole. Prague, capital city of the Czech Republic. A political realignment to the right has been slowly taking place, over the past few years in these four countries. This allows the Visegrad Group to become more relevant in dealing with a number of issues. that all of them agree on. Their collective stance on preventing immigration from Islamic countries, would be an example of this. Another place for agreement is in developing new trade ties with countries in Eastern Europe, outside the European Union. This would of course include, Armenia, Azerbaijan, Belarus, Georgia, Moldova, Russia and Ukraine as well as former republics of Yugoslavia, not part of the bloc. Bosnia, Montenegro and Serbia would be examples of the latter. Babis has even suggested that the Visegrad group be expanded, to accept new nations from Central and Eastern Europe, who share the views of the present membership. Babis has already suggested the countries of Austria, Croatia and Slovenia should be invited to join. Creating a government out of myriad of different political affiliations in Parliament, will be more complicated than one might think. The Civic Democratic Party has already ruled themselves out as a coalition partner. The Social Democrats are also unlikely to join a new government. That leaves the mostly anti-establishment parties as the potential partners. Thun Palace, seat of the Chamber of Deputies, the lower house of the legislature. Despite a resounding victory in the election, Ano will only have 78 seats in the 200 seat lower house. In order to enact the sweeping changes Babis has in mind, political allies will become necessary. This is somewhat problematic, since Babis is facing fraud charges. This is principally why the Civic Democrats, will not be part of any future coalition. Babis is therefore left with attempting to recreate part of the previous coalition, or attempt to form a new government, with either the far left or far right parties. The latter seems far more likely. The incoming Prime Minister continues to portray himself, as an outsider fighting a corrupt system of traditional party politics. This is why some analysts compare him to, the relatively new American President Donald Trump. Wallenstein Palace, seat of the Czech Senate. The electoral victory of Andrej Babis has been seen as the biggest victory for European populism since the people of the United Kingdom voted to leave the E.U. In the process, that has become known as Brexit. If Babis is to survive politically, he will not only have to defend himself against charges of corruption, but also be able to find enough allies in Czech legislature, in order to set up a new ruling government.